This exciting new range from innova is a good mix of style, fun with a retro twist and technology. All the innova range have powerful 16 bar pumps these will deliver in all areas. 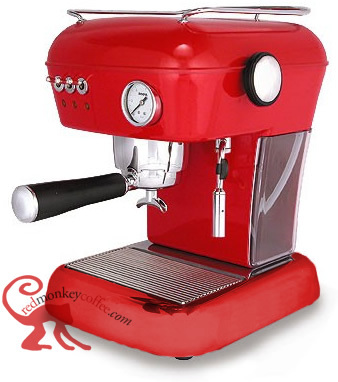 Innova are a spanish espresso maker company recently introducing it's machines into the UK, a welcomed addition. Dream fully in stock and available in 8 different colours £365 or Polished Aluminium £395. click to see specs and order. The excellent conical burr grinder from innova available in matching colours or the cool Polished Aluminum. Click to see specs and order. 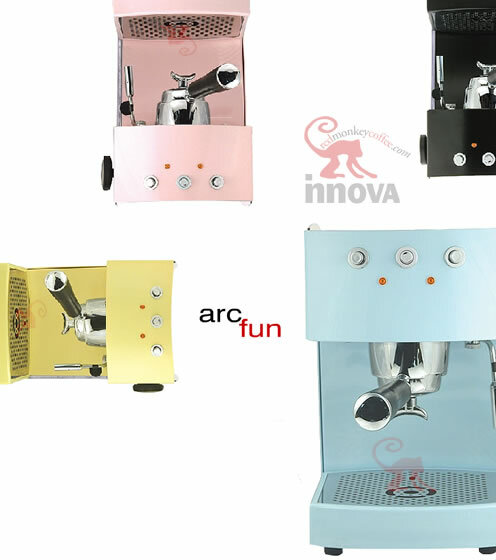 A new range, more compact in size, clean modern design, lovely little machines. Available to order online now - £289. Fully in stock.